Health. It’s a broad and all-encompassing term. Health can cover everything from pregnancy to palliative care, and from mental health to multicultural health engagement programs. There can be infinite complexities to consider when approaching the task of improving the experience of healthcare website users. 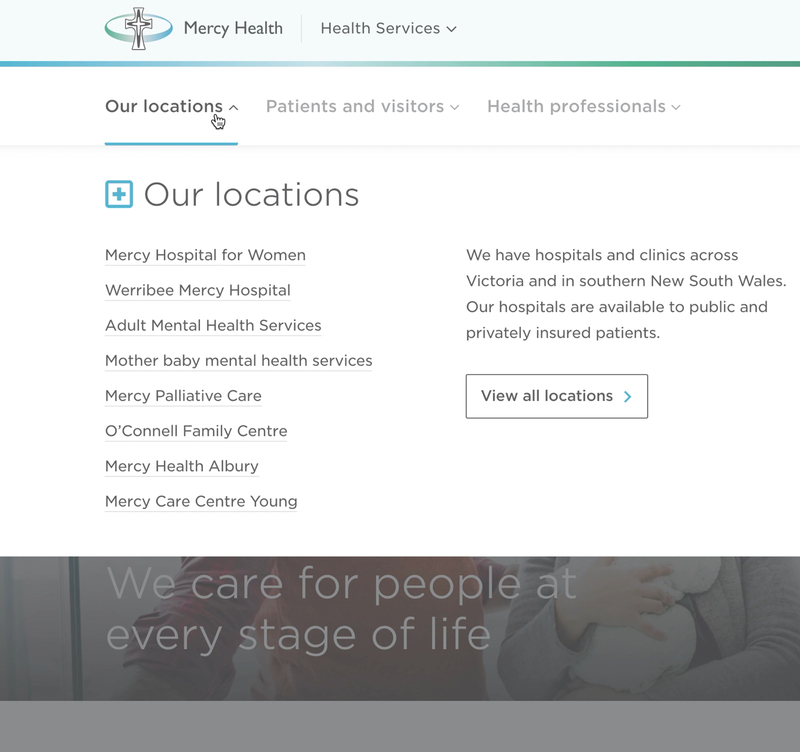 So, it was no mean feat when we recently teamed up with Mercy Health, a dynamic and rapidly growing Catholic healthcare organisation that provides public healthcare for people across every stage of life. In addition to public hospital care, Mercy Health provides community mental health programs, early parenting services, and health worker training and development. So how do you get your head around the intricacies of each of these highly specialised disciplines? How do you gauge the requirements of individual business units? The needs of clinics, many who deal with the same patients for coordinated care across a range of complex health conditions? The operational realities of different hospitals, in different geographical and socio-cultural spaces? 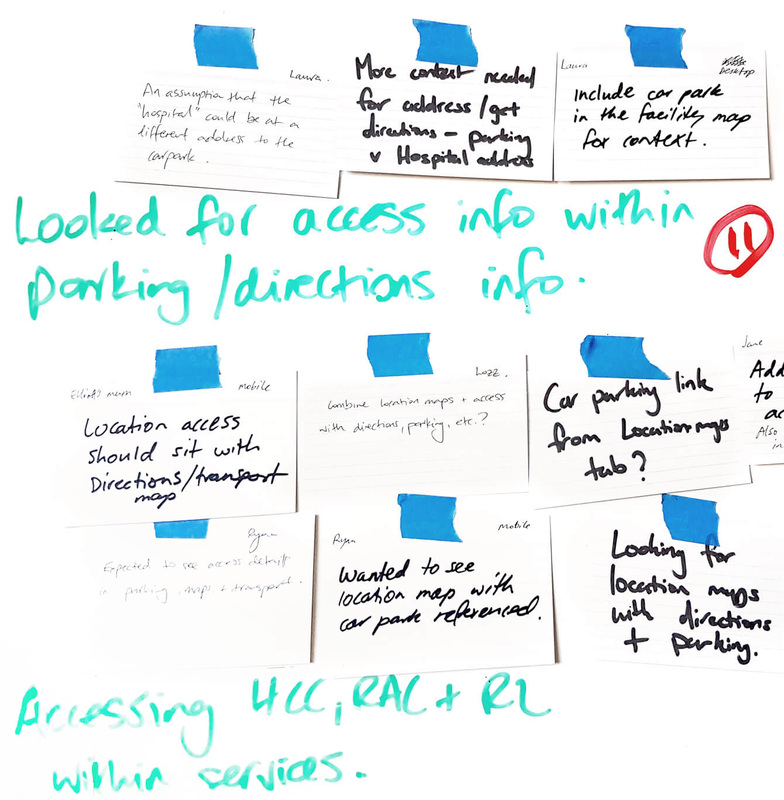 Multiple, intersecting and overlapping patient journeys and referral pathways? The answer is by getting together and collaborating. Over the course of four months, 20-plus workshops with more than 60 medical professionals, multiple site visits, and several immersion sessions, we developed a healthy insight into Mercy Health. The result? A new web platform that better meets the needs of public health professionals and patients alike. And hopefully, the care we took to understand what would deliver a better web-based health experience will mean better care for the people who need it. Here’s how it all came about. According to the Australian Bureau of Statistics, less than 6% of the Australian population has ‘high’ health literacy. More than 60% of the population have ‘less than adequate’ health literacy. On the flipside, ‘digital user experience’ is probably not a term clinicians use frequently—so some induction and alignment around some of the technical concepts on both sides was essential from the very start. The best way to get everyone on the same page? Put the pages on the wall. 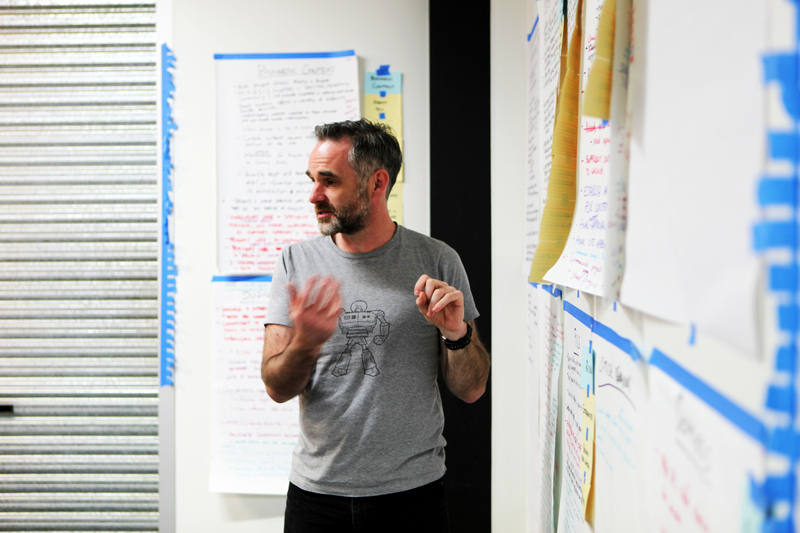 We began by clarifying and categorising definitions and terminologies, identifying jargon, and discussing the tools and techniques we’d need to tackle the project. 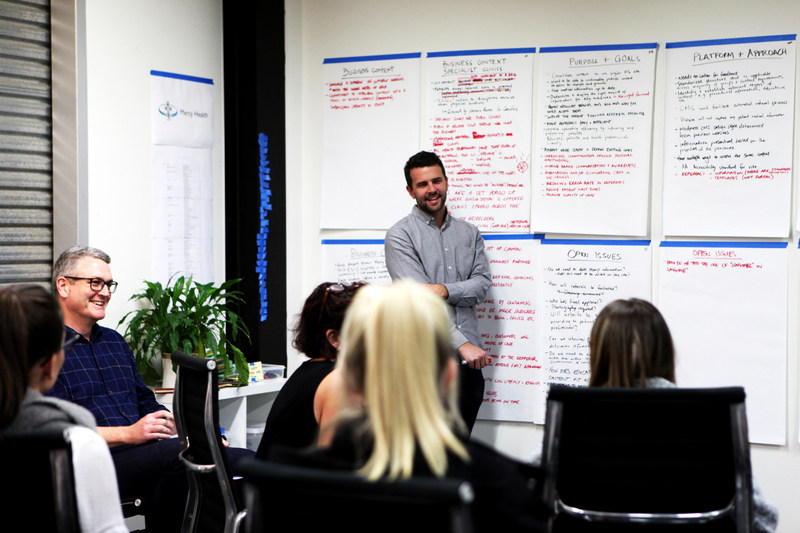 To get a thorough understanding of every aspect of Health Services, we consulted with multiple groups of specialist clinicians, representing different areas of Mercy Health’s hospitals and clinics. 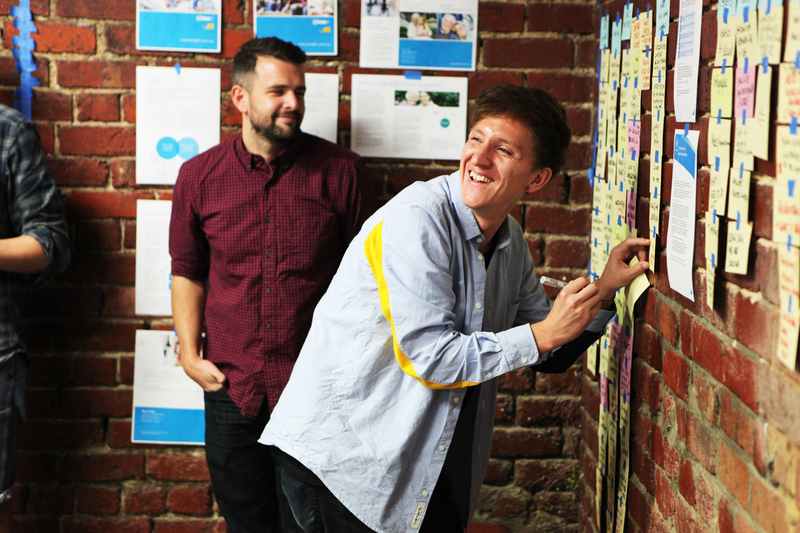 Developing goals and objectives, together. These early workshops were doubly beneficial. While learning about each discipline in general—the unique needs of one of Victoria’s largest maternity services and an emergency department, for example—we were also identifying the challenges and opportunities staff members face in day-to-day operation. 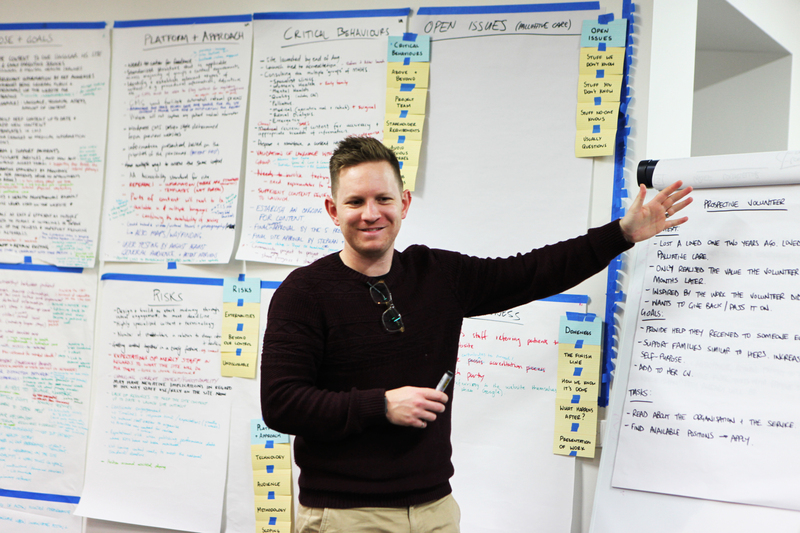 After a while, we began to diagnose some common problems and identify opportunities to improve the patient experience. Keep it simple. Even if it isn’t. One challenge was to find order in the sheer volume of information; from visiting times and preferred visitor etiquette for hundreds of different clinics, right through to the titles and roles of each specialist you may see throughout your visit. To add to the complexity, we needed to define the experience we would create for patients and a separate, no less important experience for the health professionals who need to care for them. So, we devised a segmented approach that puts patient needs first, while clearly catering to GPs and other referring clinicians. The primary menu is segmented into these two main audience groups for clear, quick navigation. Individual pages also have a series of tabs that tailor the content based on who you are or what you need. The primary navigation is segmented by key audience groups. 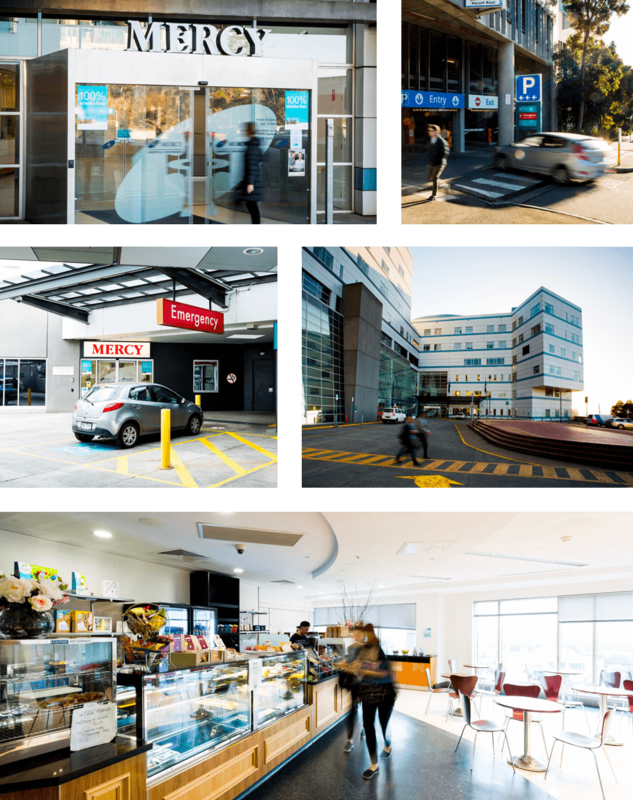 While there was a huge breadth of content, everything had to be neat, clean, easy to find, and consistent across multiple locations: from the well-known Mercy Hospital for Women at Heidelberg to the small sub-acute hospital in the town of Young in New South Wales. Keeping things easy to use is no simple process. First, we set about validating the wide variety of information people would need, and mapping when they might be looking to access particular information to assist their health journey. Many people will likely be on their way to an appointment, or en route to visit a friend or family member, so mobile-first UX became key. We determined that most people could also be in a state of heightened emotion or anxiety, so simplicity and intuitive experience design was another obvious goal. One simple solution was to make emergency information and contacts available so that people made the right choices about when and how to come to a hospital. We didn’t want a patient who needed an ambulance to get behind the wheel of their car, so we put Triple-zero half a thumb stretch away on their mobile screen. 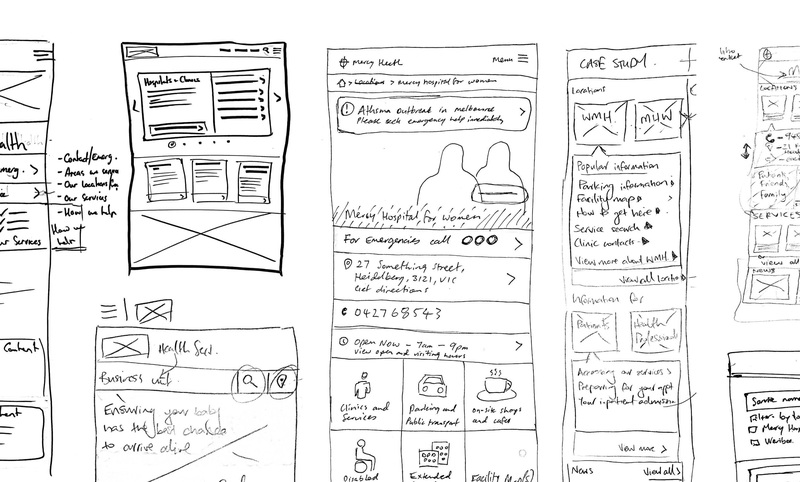 We built an early-stage mobile prototype, to ensure that we could hone, refine and change functionality on the fly. If something didn’t feel right or was simply a little clunky in application, we iterated and improved quickly. A huge range of people with varying abilities will use the site too, so everything meets Level AA of the Web Content Accessibility Guidelines. From a general design perspective, links and buttons are highly visual throughout the site. Written content is made accessible through techniques like read-time estimates. For mobile, a variety of ‘touch actions’ keep the experience natural: things like pinch-to-zoom on maps and weighted image dragging in galleries. Design focused on mobile display from very early on. Once we had a framework for content types, we started creating flexible design elements to build out pages, rather than creating stand-alone templates. Imagine a patchwork of design features we could pick and choose as they related to each area of Mercy Health. If something changes or becomes seasonally relevant—a particular announcement relating to a health discipline, or a research or funding initiative—you can simply update page elements as necessary. Slowly fleshing out page element concepts. There was also a process of simplifying written phrasing and terminology to cater for people with low health literacy, while retaining clinical accuracy. We established a thorough content workflow: everything on the site passed through 17 different stages of review, with consultation from patient representatives through to high-level clinicians. This included clinical review stages, review by health literacy experts at Mercy Health and testing by consumer representatives—something for which Mercy has developed a strong reputation. Clear directions are the way to go. Another key opportunity for better user experience involved improving wayfinding. We identified flagship locations and designed layouts to accommodate bright, bold photography, taken on a series of shoots running concurrently throughout the design process. After all, there’s no better way to guide people to a destination—and cater for different language abilities—than to show them exactly what they’re looking for. Wayfinding is made easier through photos of key points on-site. For those who are less visually inclined or who need to listen to, rather than read directions, there are also detailed written directions highlighting entrances and key hospital locations in relation to nearby landmarks. The idea is to cater for every person and their preferences for processing information. Beyond physical directions, we also improved pathways to locating information on the website. There’s a general search functionality to help patients locate clinics or service information, as well as semantic and geographical filters to help people find what they’re looking for, faster. Filtering search results on mobile. Putting our assumptions to the test. Once we’d processed all of these insights and information, designed and built some potential solutions, and combined everything in a prototype, it was time to put things to the test. Literally. 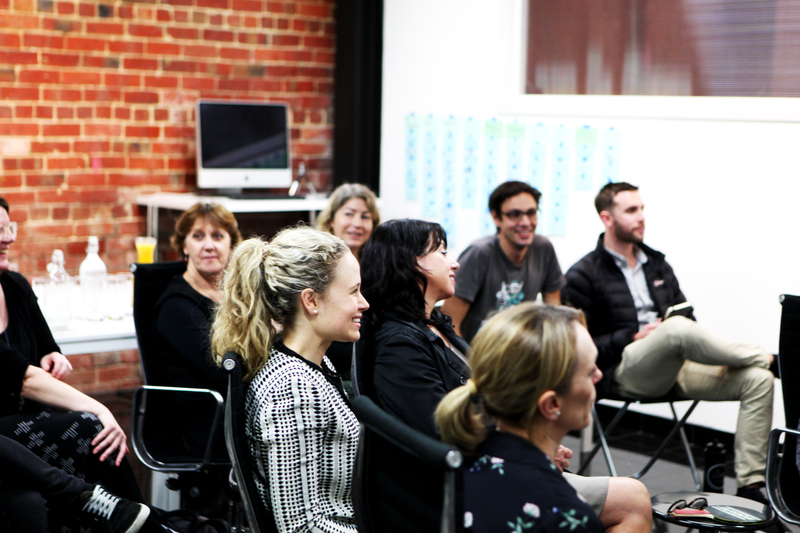 With the help of medical professionals, people with high medical literacy, and some less familiar with the health system, we conducted a series of user testing sessions. There’s no better feedback than from the real people who will eventually use the site. Documenting common problems that popped up in testing. 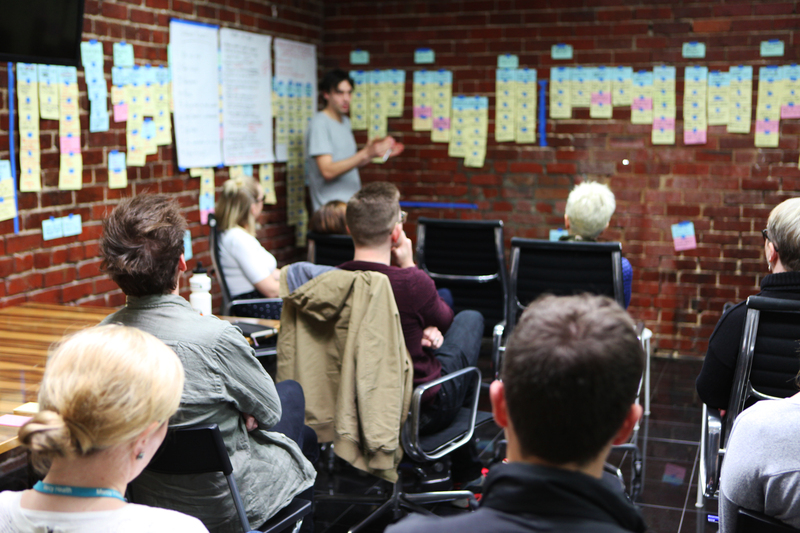 The insights from these sessions helped us improve certain elements of the design, and validated some of our thinking as we moved towards the launch. In conclusion, it’s all about collaboration. Head over to the website now to check out all these functions and features, and maybe uncover a few more while you’re at it. 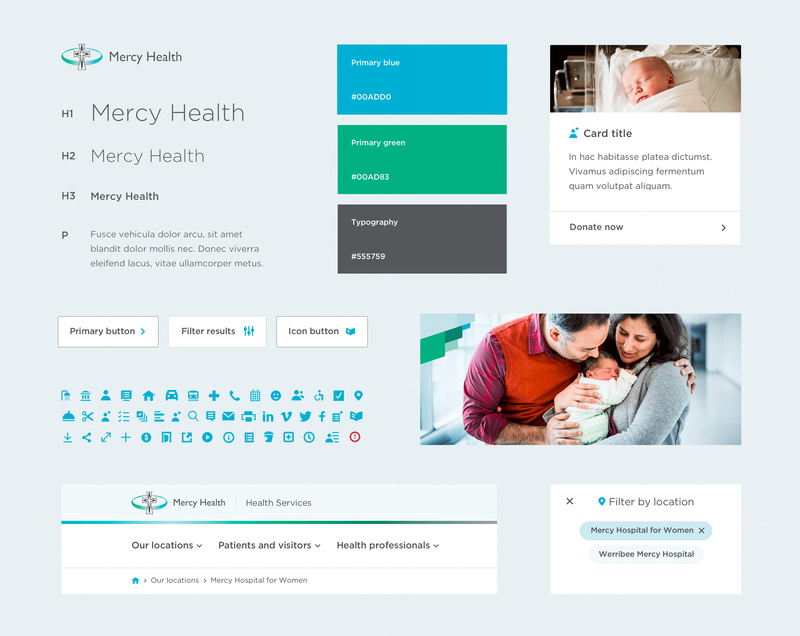 One thing’s for sure: the new Mercy Health website is the culmination of a truly collaborative design process which has put Mercy Health patients and the people who care for them first. Want to learn more? Visit our case study for an in-depth look into the Mercy Health project. Mercy Health provides care for people at every age and stage of life. The organisation is dedicated to providing the best possible care in hospitals, clinics, nurseries, aged care homes and the community, all around Australia.